Fit is very good and true to size. Self coloured buttons also a plus. I am pleased with this item overall. 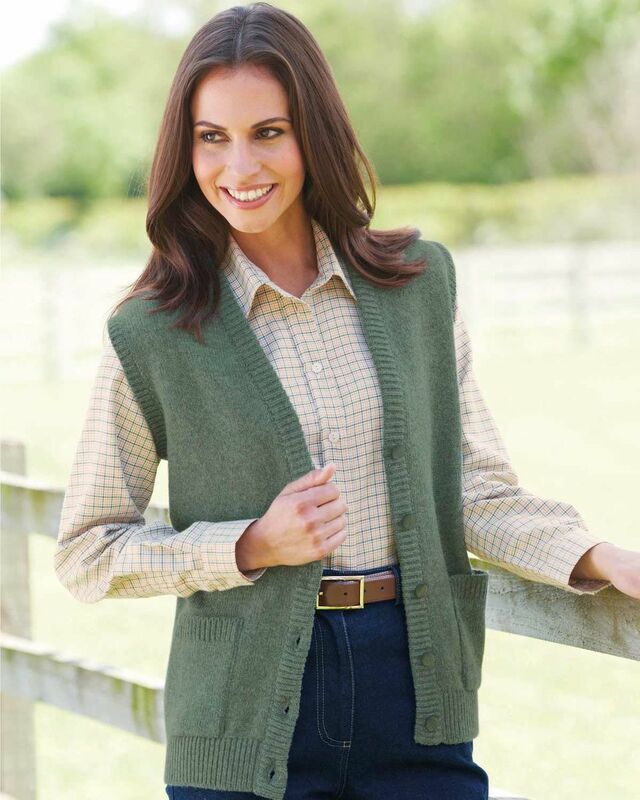 I love my new Shetland waistcoat, it is a lovely colour and it is really warm. it fits perfectly, too! Easy to order - fast delivery - garment fits and is comfortable to wear. Think it will be a useful part of my wardrobe. 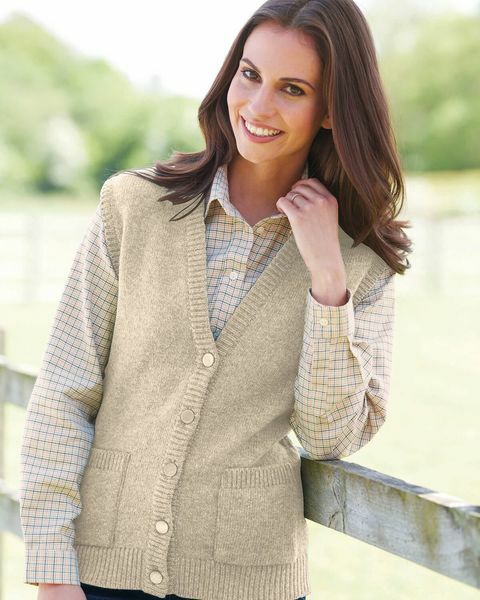 Classic style waistcoat knitted in soft shetland wool with front band ribbing, welt and armholes. Front patch pocket and tonal buttons. "Fit is very good and true to size. Self coloured buttons also a plus. ..."